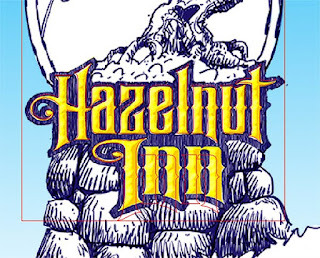 With the design for the Hazelnut Inn finally in hand we set to work in EnRoute. I had done the design using Adobe Photoshop using my iPad as an interface. 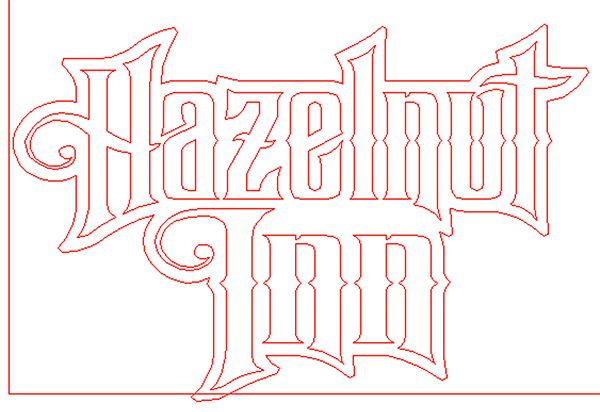 I based the lettering on an actual font but modified it a fair amount. Now that needed to be done using vectors. So Peter imported the jpg image of the sign and tweaked the lettering vectors using the image as reference. 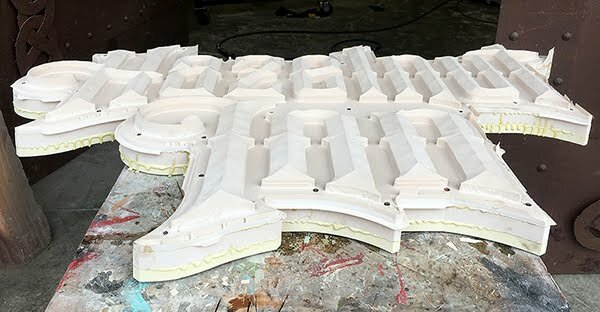 Since we were going to add a fairly high bevel to the letters we knew they would be very thin and fragile. 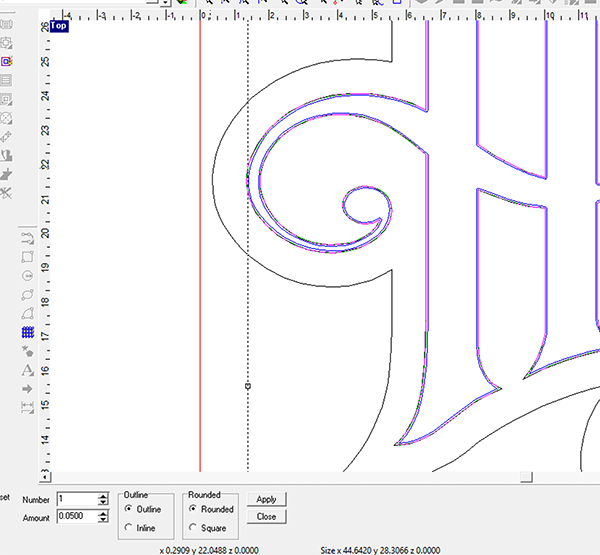 To change that we needed to thicken up the tapered ends of the letters. To do this Peter first did an inside offset of .05" . He then did an offset using the rounded selection. 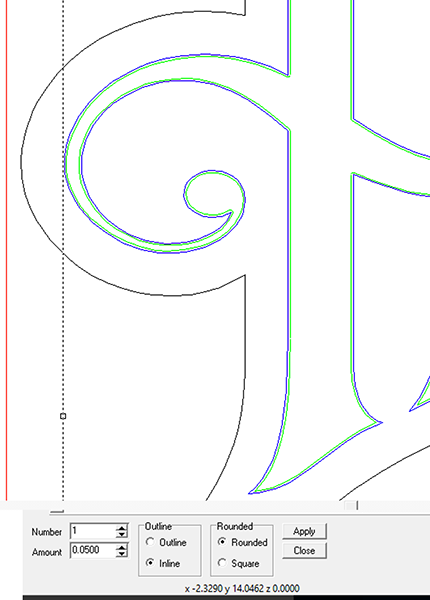 This made the letter ends rounded instead of pointed and therefore much stronger when it was routed. 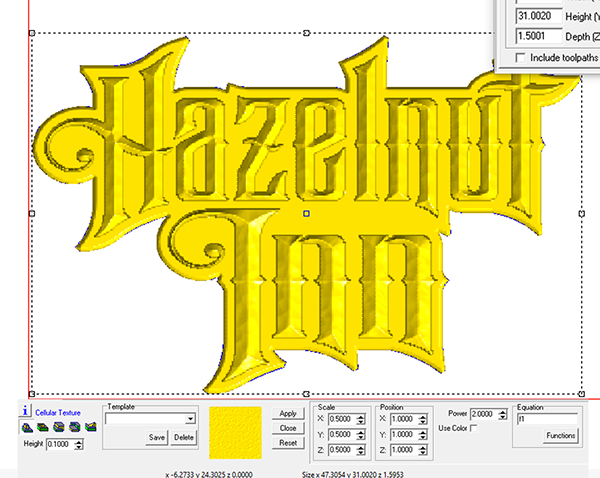 Hw then created a second offset around the letters to create a shaped background. 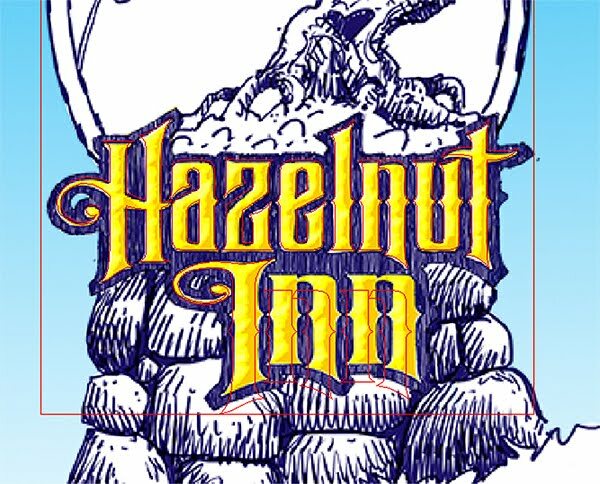 Peter started with the lettering outline background. To add just a little more interest he used the bevel tool but limited the height of the relief. This created a bevel around the edge of the relief. As always we check the 3D view to make sure we achieved the results that we were looking for. 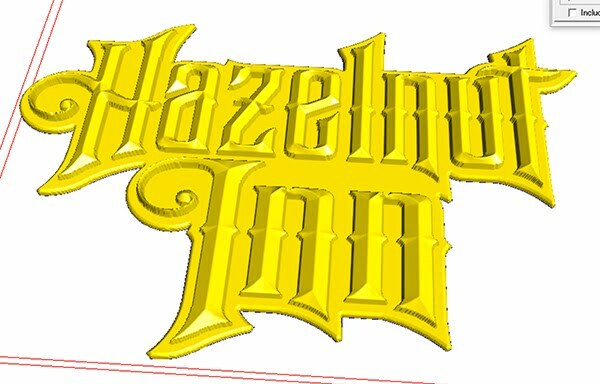 Lastly Peter applied a texture to the letters. 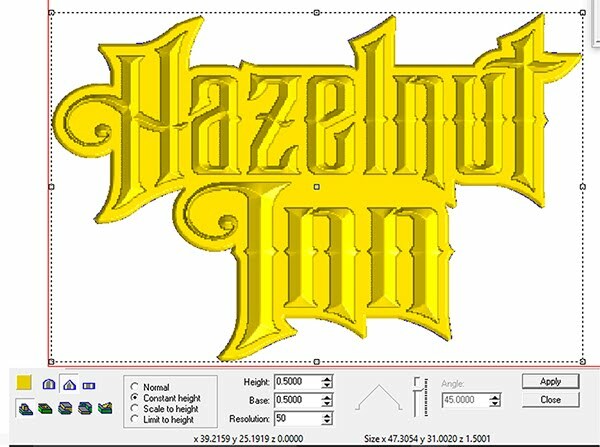 He used a parametric texture called cellar texture and tweaked the parameters to suit the sign. Because of he thin portions of the letters we were a little concerned with the fragile nature of the sign. But we knew the perfect solution. 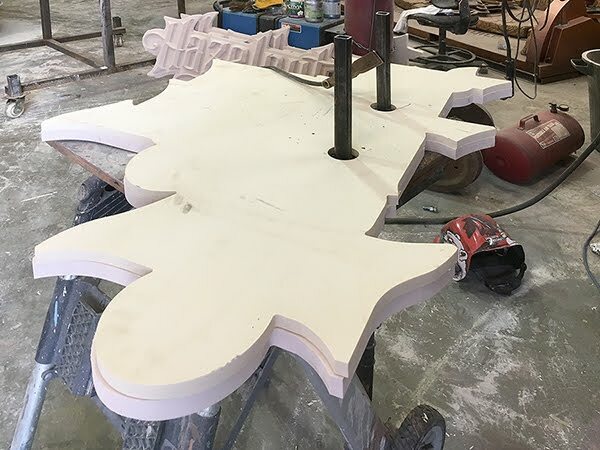 We had a sheet of 2" thick 48 lb Precision Board handy. Our routing speeds were the same as normal but the results were even more spectacular than normal. I love the denser version of Precision Board! 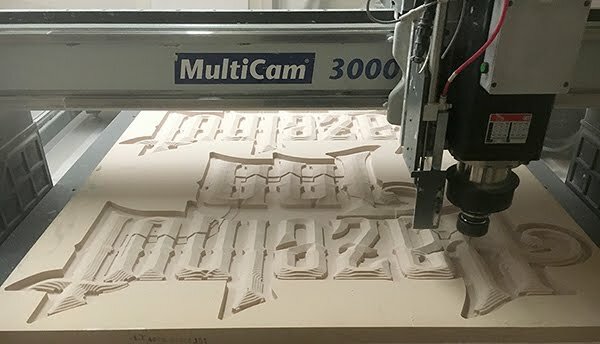 The sign looked great right off the router! 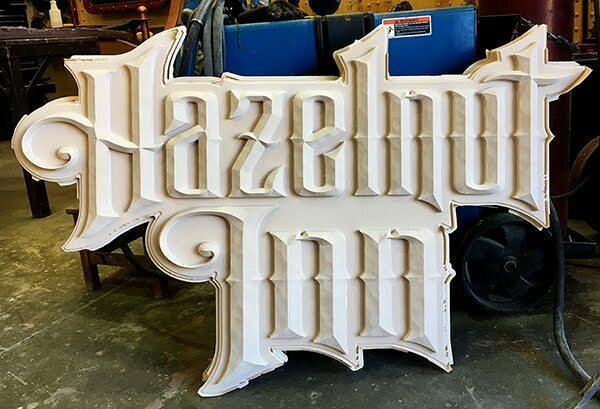 As with many of our sign projects we opted for three layers. A welded steel 1"x1" tube frame was laminated into a pocket which had been routed into the centre layer of 1" thick Precision Board. 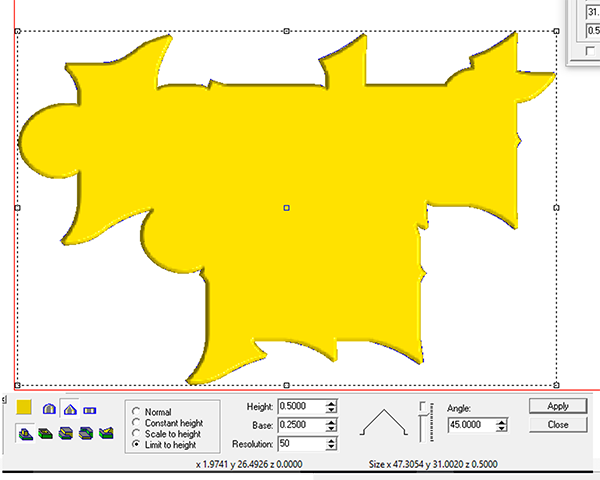 A 33/4" sheet would be laminated to the back effectively encasing the step structure. Two legs protruded out of the back of the sign for mounting. 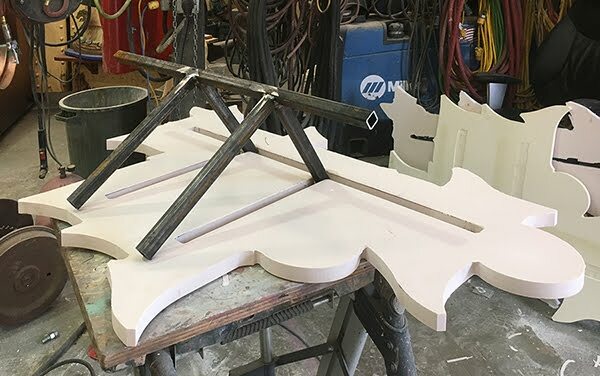 We glue our signs using Coastal Enterprises PB Bond 240 glue - a one part urethane glue which is activated by a spritz of water mist.